The launch comes after a six-month nomination process of local businesses, events, and attractions that a committee of local stakeholders, along with National Geographic Maps and the National Park Conservation Association (NPCA), vetted. 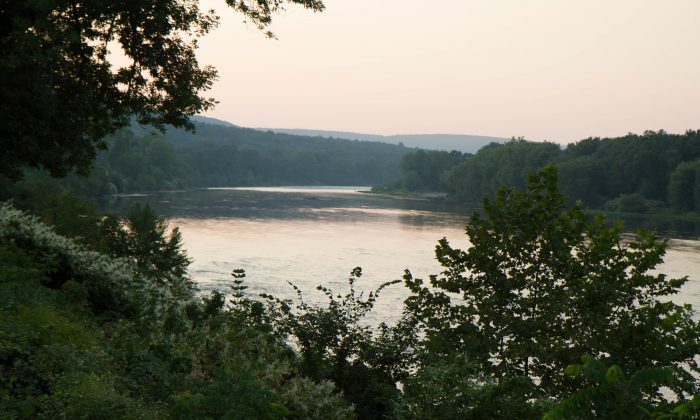 While National Geographic Maps and the NPCA got the website up and running with funding from the William Penn and Claneil Foundations, it is going to be maintained by the local committee, called the Scenic, Wild Delaware River Geotourism Stewardship Council. The Stewardship Council has about 30 members and recently chose a chair and two vice chair’s to lead the organization. In addition to the MapGuide, they are getting behind events like a river cleanup with Kittatinny Canoes in Milford, Pennsylvania in July and a 100-mile paddle challenge in August put on by the National Park Service. The website will be maintained by staff from the Pocono Mountains Visitors Bureau, which manages other websites in the area. The “Scenic, Wild Delaware River” MapGuide encompasses the middle and upper Delaware River, including the national parks the Upper Delaware Scenic and Recreational River, the Delaware Water Gap National Recreation Area, and the Middle Delaware National Scenic River. It straddles Delaware, Orange, and Sullivan counties in New York; Sussex and Warren counties in New Jersey; and Monroe, Northampton, Pike, and Wayne counties in Pennsylvania. Carl Wilgus, CEO and president of the Pocono Mountains Visitors Bureau, said the MapGuide has brought together an area that was traditionally divided by the river. In three tabs it provides information about places to go, things to do, and where to stay, as well as a section for advice from locals called “Local Voices” and travel itineraries in “Trip Plans” for different adventures like nature hikes and museum tours. For too long we’ve looked at the Delaware River as the defining line … we’re looking at it now as the coming together point. While the official nomination period ended, the idea is that it will be a fluid site with content approved by the Stewardship Council being continuously added. It’s meant to be “a travel guide to the places most respected and recommended by locals,” the website’s tagline says. Port Jervis Third Ward Councilwoman, Kristin Trovei, who also serves on the City’s Tourism Board, said at the April 25 Common Council meeting she would keep an eye out for local attractions, events, and businesses to nominate. She said later in an email she would like to nominate the trails in the Port Jervis Watershed, the D&H Canal towpath, events like the Soapbox Derby and the Fall Foliage Festival, and local businesses like UpFront Exhibition Space and the Riverside Creamery. Executive Director of the Tri-State Chamber of Commerce, Charlene Trotter, who also represents the Chamber’s members on the Stewardship Council, encouraged local businesses to nominate themselves through the tab on the website, even if they applied before. “It’s important that you do it now and be part of the ongoing promotion of the things we offer here,” she said in a phone interview, adding there is no cost to do the nomination. Along with the MapGuide, several other tourism initiatives have bubbled to the surface in Port Jervis. A new website called Discover Port Jervis launched on May 4, as did a Discover Port Jervis Facebook page started by the Uncommon Council, “an anonymous group of motivated, mobilized Port Jervians who are dedicated to improving the quality of life and urban infrastructure in the City of Port Jervis,” the website says. Discover Port Jervis gives people a flavor of the city’s character, events in the area, resources for recreation in and around the City, and recommendations on lodging, food, and public transportation. It also has a blog, the first post of which is about the recently opened trails in the Port Jervis Watershed with an interview with the organizer of the fat tire bike race Snowball’s Chance that opened the trails on March 19. The City’s website was also updated early last month with an “Attractions” section in the “About” tab and a “What to Do in Port Jervis” section that has a map of the watershed trails. “I think it’s absolutely amazing and it can only add to the pride and the sense of community that we have here,” Trotter said about the new online tourism initiatives.